We Repair Diesel Fuel Tanks! 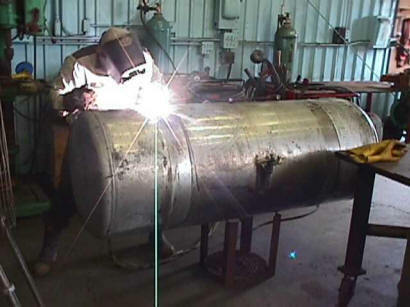 RJR Radiator is highly experienced in diesel fuel tank repair. Our welders are experienced in both aluminum and steel welding. We not only weld up small pinhole leaks, but we can also repair leaks caused by band wear as well as fix broken steps on tank sides. We can also cut off the ends of tanks and re-weld broken baffles as well as fix dents and dings. We can weld on virtually any material that needs to be welded no matter how big or small. Call us for a quote on any type of welding repair!